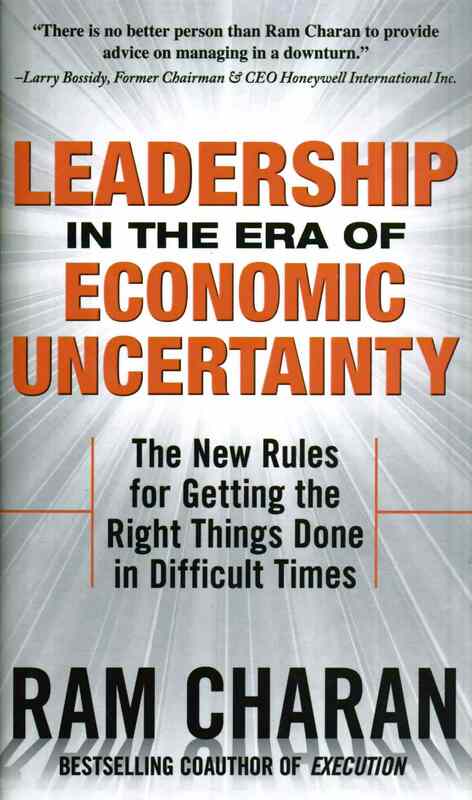 Leadership in the Era of Economic Uncertainty by Ram Charan is a common-sense guide outlining the management practices necessary to weather the current economic storm. Throughout the book Charan explains how to manage for cash and make tough decisions at every level of the business, from the CEO down to customer service. With the right strategies, and a little luck, an overwhelming challenge can become an incredible opportunity.